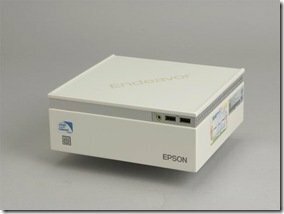 Japanese website "+D PC User" has a 3 page review of the Epson Endeavor SV120h . The small low energy Home Server is benchmarked and taken a look at both inside and out. All the details are here (in Japanese).